Raja Janak would frequently hold shastrarths in his court where scholars from all over the world would be invited. He had an undying quest for knowledge, the more he got to know, the greater became his ego, but the one experience that he desired did not come his way…he met countless scholars, but he could not find a Guru. In the presence of all the pundits, King Janak promptly and ungrudgingly agreed. Ashtavakra then asked Janak to leave his throne and sit in the crowd since the throne belonged to him no more. Janak did as was told. Next the Muni asked Janak to cease all the planning that was happening in Janak’s head for the kingdom was no more his own. 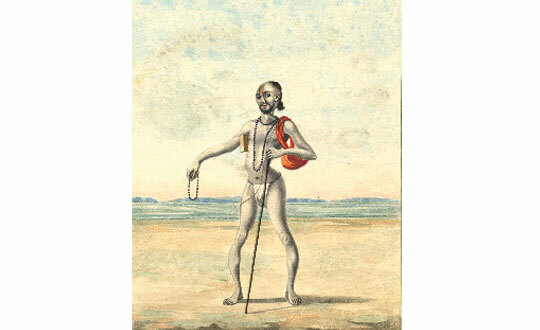 He told Janak to drop the awareness of body, since even his body was no more his. Next he asked Janak to leave all thoughts, for even the mind, ego and thoughts were not his anymore. In the sanidhya of Guru, Janak emptied it all…and as he did so, he got the experience he desired. He bowed in front of the great rishi, who in the wink of an eye gave him the gyan of Brahma and beyond…gurur brahma, gurur vishnu, gurur devo maheshwara, gurur sakshatah para brahma…The Guru alone can burn the desires and ego of the shishya and give him the gyan of what lies beyond. Gyan comes to those in a moment who have the courage to give up everything in that moment, as is asked by the Guru.